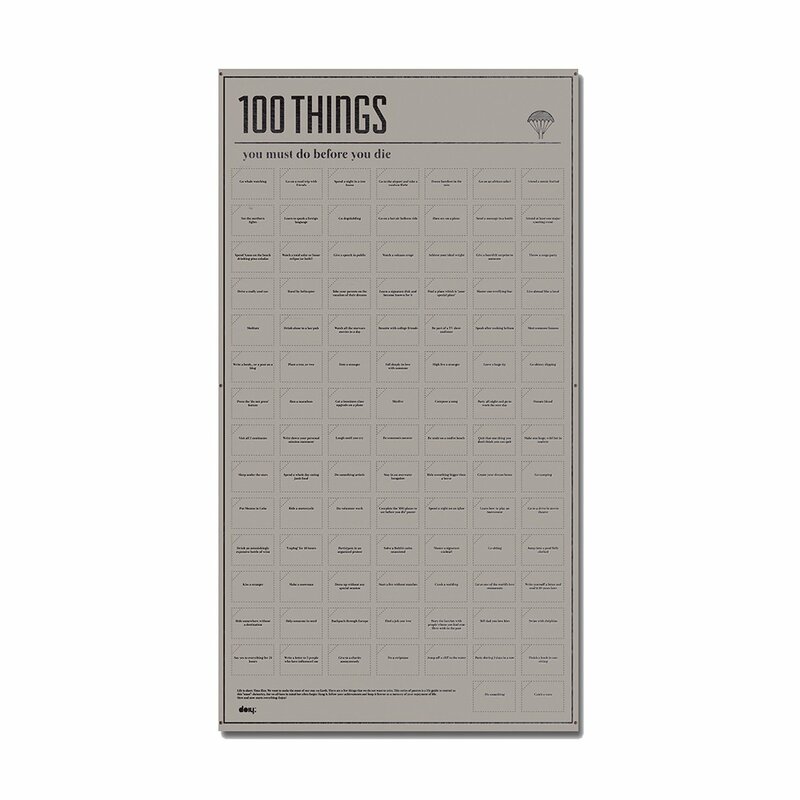 Whether you are an adventurer, a curious person or if you have an overwhelming desire, there are some things you have to do in your life. 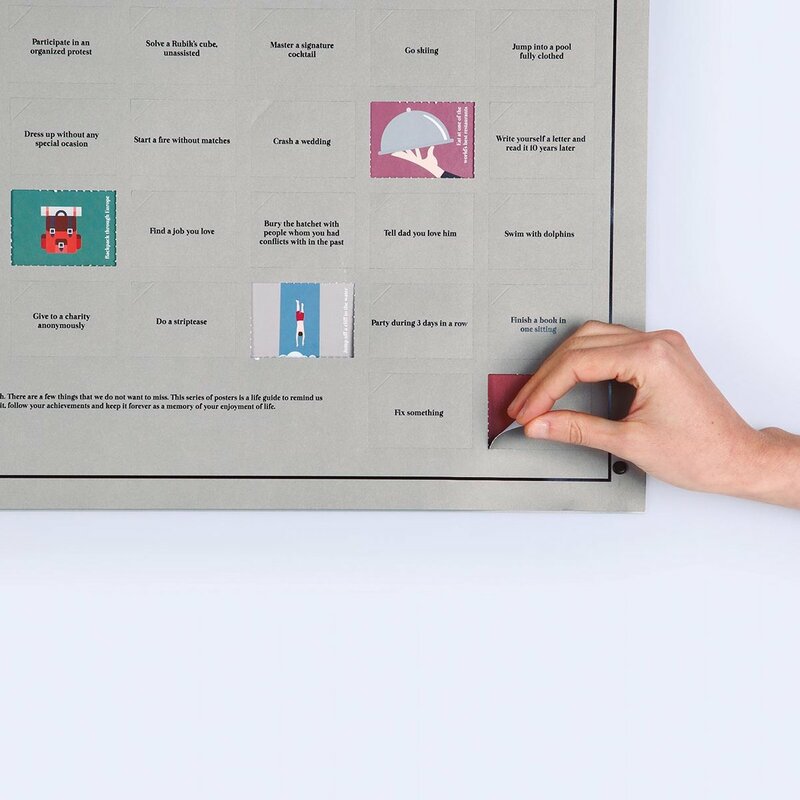 They are little details, hints of madness, that will make the difference and give you the feeling of enjoying every moment. 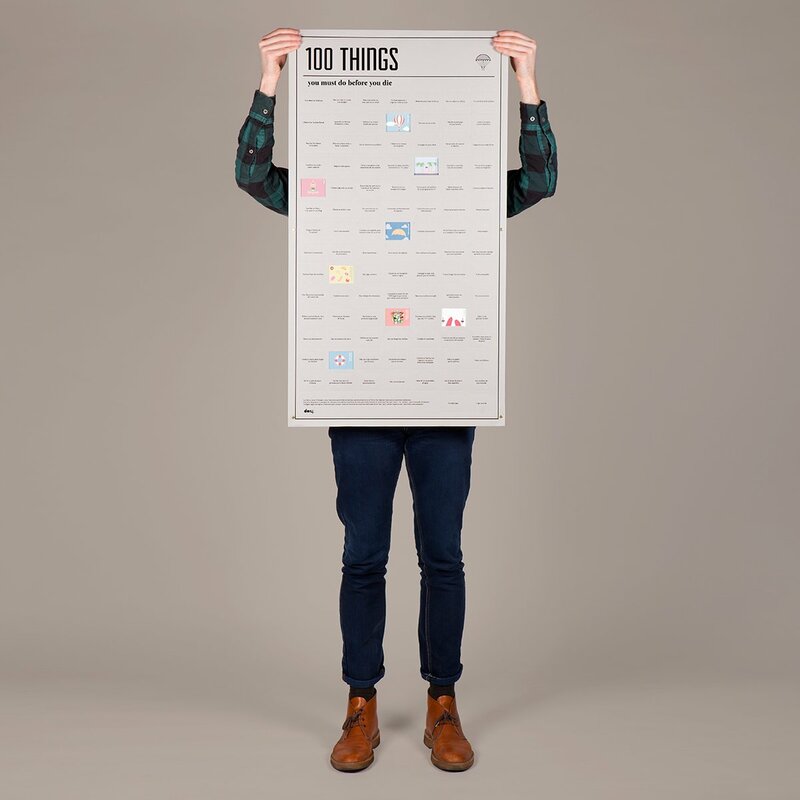 This interactive poster is a collection of all these incredible things. 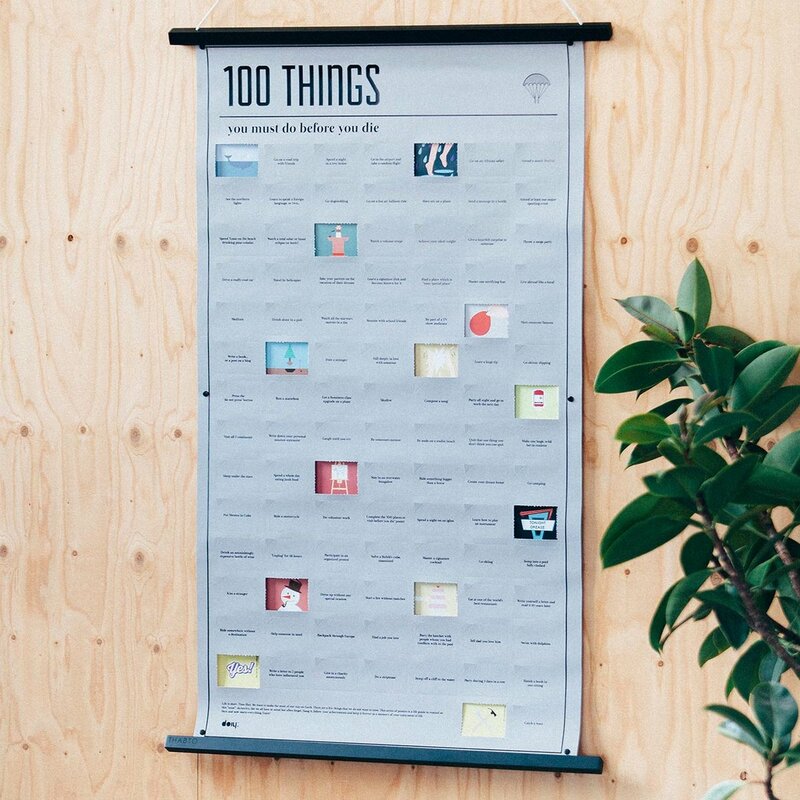 Hang it up, monitor your progress and keep it forever as a reminder of the most extraordinary experiences of your life. 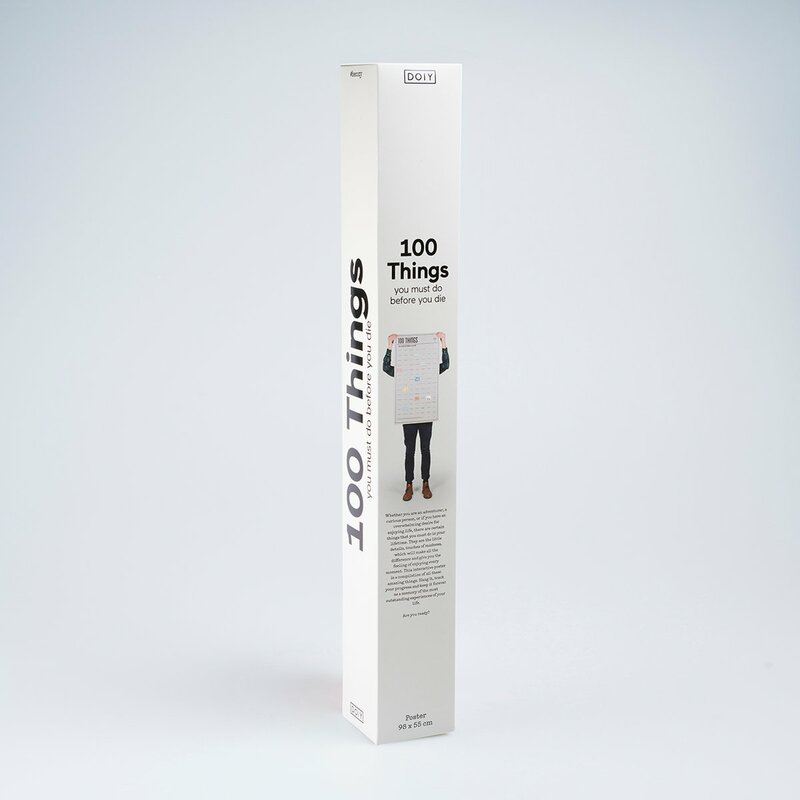 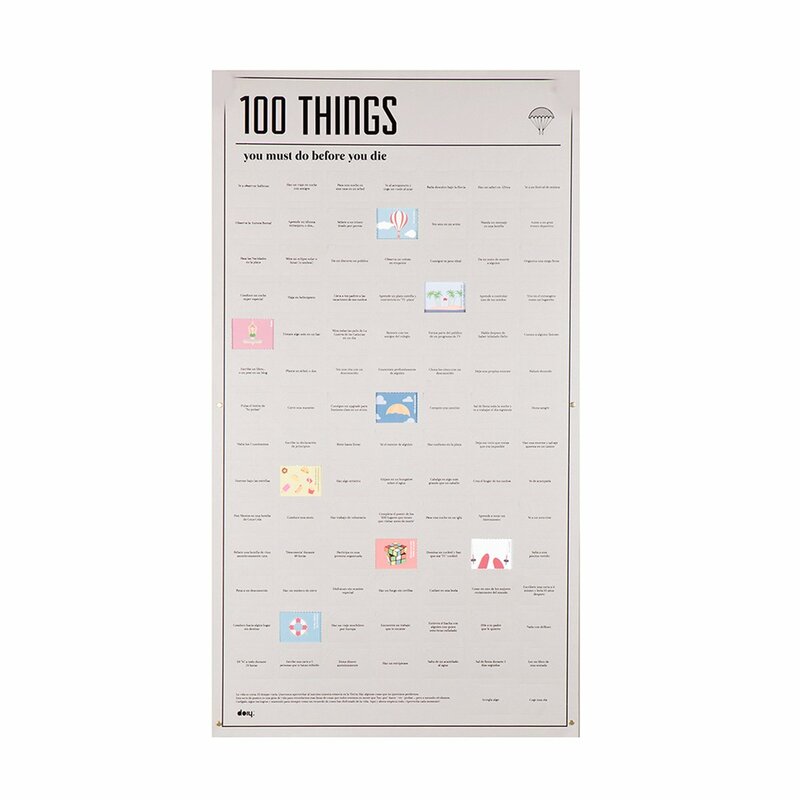 100 things to do before you die is a poster with 100 activities to do to say you've lived a complete life!